In a today’s price-conscious economy supermarkets have shifted to ‘value’ with major implications for the industry’s profit formula. Not least, it is eroding the pricing power of brands, forcing many FMCG companies to find more cost-effective marketing strategies. Real-time marketing is brands reacting to and adapting their social media content to breaking news. According to Econsultancy, 51 per cent of brands find it challenging to extract data and insights from their real-time marketing efforts. It’s easy for brands to get lost in the constant stream of trending news on social media. Which hashtag should you post to? Is this relevant to the target audience? The best way to tackle real-time marketing is to stick to what you know. Dove did a great job of this during the 2015 OSCARs when it built a social media campaign around tracking tweets sent during the ceremony. Dove used OSCAR Twitter mentions to highlight the negative body image comments being tweeted, using the results to emphasise how negative posting such remarks can be. Co-creation campaigns allow consumers to get involved in product development or marketing campaigns, resulting in the creation of a product or a campaign that is more relevant to the market. Relevance is the most important aspect of product marketing, if a product isn’t relevant to a consumer, or the brand fails to convince its audience that it is relevant to them, nothing else will succeed. To maintain momentum with the Up&Go brand, Sanitarium has continued to innovate with new product variations, which are carefully segmented to cover off different demographics. Sanitarium’s Up&Go Flavour Promotion successfully engaged consumers by encouraging them to design the new flavour to go on the market. The post reached over 10,000 likes, nearly 500 shares and over 26,000 comments. Developing products can be guesswork without testing. Asking consumers what type of product and elements they would like is the key to a great product. Creating ideas and new concepts can also be done by the consumers if the company has an existing relationship that has been established through earlier online campaigns. Insights campaigns involve getting the consumer invested the brand. Once invested they become loyal advocates that want to promote the brand to their friends and families. “31 per cent [of respondents] agreed they would be more likely to make purchases if they were offered personalised experiences such as product recommendations or tailored content.” IAB FMCG brands have traditionally been kept at a distance from their consumer base. By selling their products through supermarkets and other general retailers, they’re separated from the data that they could use to build a more complete picture of their consumers. Social media, especially its mobile technology, has started to change this. Now, FMCG brands can use the data collected from social and mobile interactions to get to know their consumers on an individual level, enabling them to use the data to tailor the way they communicate to each consumer. Social media offers a richness of targeting that many marketers still under-rate. Beyond time of day and day of week, the precision of geo targeting and targeting based on known interests of each person is a game-changer. Facebook continues to dominate the global social media landscape, claiming 1.49 billion monthly active users in August 2015, according to socialmedianews.com.au. Crucially, 1.133 billion of the platform’s global users – 83% of the total – now access the service through mobile devices (reflected in the growth of geotargeting). In Australia we have 14 million monthly active users, or almost 1% of Facebook’s total audience. YouTube is a close second with 13.9 million monthly active users. Instagram has been the fastest growth channel over the past year, now topping over 5 million monthly users. 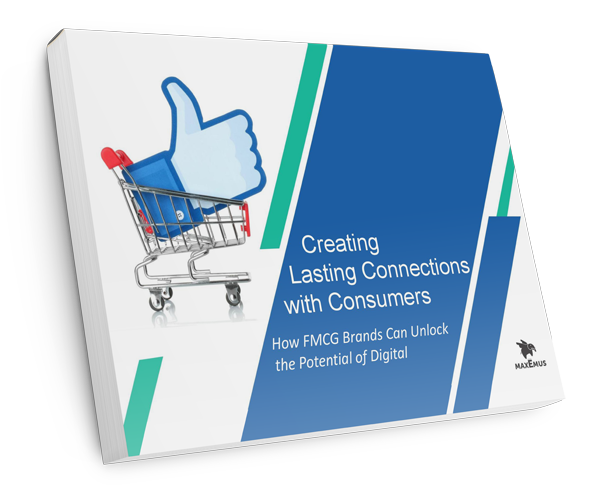 The rise of the digital consumer is proving truly disruptive in the FMCG industry. In figuring out how to win in this new digital world, FMCG companies face some major strategic questions – including how to build a successful business through online retail channels, how to build brands and categories in a socially networked world, and how to exploit technology-driven opportunities to understand consumers more deeply and connect with them more often.